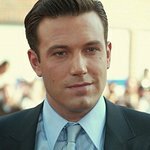 For the past three years, Ben Affleck has watched his buddy Matt Damon host the ONEXONE fundraiser in Toronto. This year, the Oscar-winning activist actor will take centre stage as he hosts the OneXOne Gala (June 14) from a new location – Commonwealth Hall in Calgary. The addition of a second event in a new location reflects a growing awareness of the charity. “When they asked if I’d do Calgary, I said, ’Sure. As long as Matt is not dragging me down!” said Affleck, referring to the fact Damon will be serving as the evening’s ambassador. Now in its fourth year, the children’s charity has raised roughly $7 million for impoverished children around the globe. Their September 8 fundraiser, hosted by Damon in Toronto, is already one of the most coveted tickets during the Toronto Film Festival. ONEXONE Calgary will also feature Grammy winner George Benson, the African Children’s Choir, and the Canadian Tenors. In the fall, ONEXONE will add a third benefit to its 2008 schedule, with a gala in San Francisco on Oct. 23.